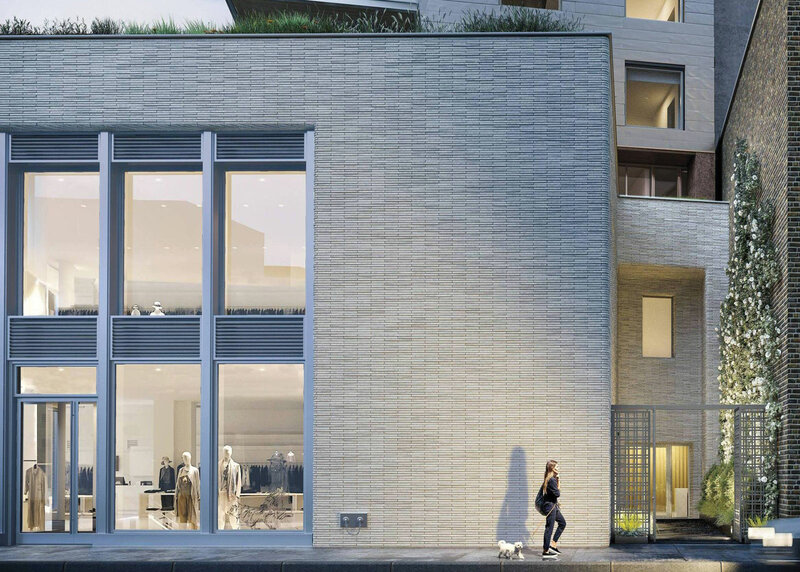 A series of five stacked townhomes atop a two-story retail space, 347 Bowery offers the intimacy of a traditional townhouse with the amenities of a full-service building. The Entry garden, located adjacent to the retail base of the property, ushers residents and guests through a garden mews to the building’s intimate entrance carefully set back from 3rd Street. 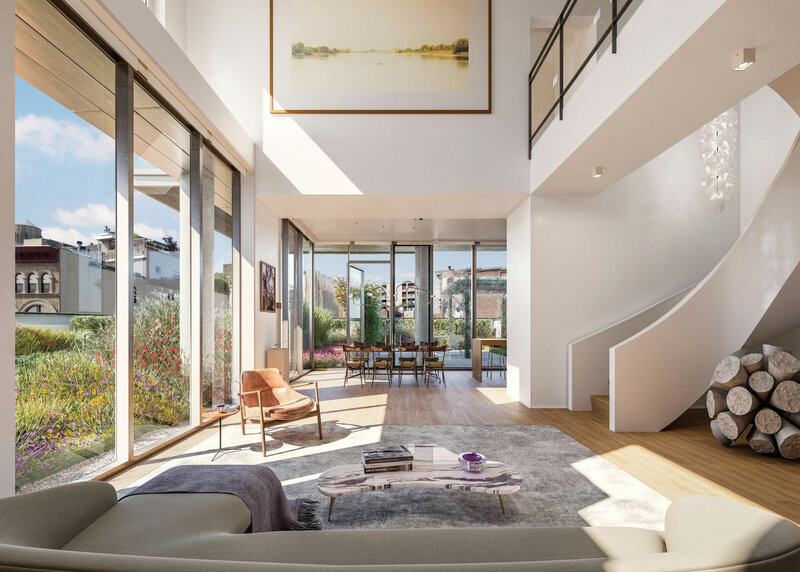 The project includes gardens on the third-floor rooftop: an amenity space that serves the entire building and a private garden off of the third-floor residence. 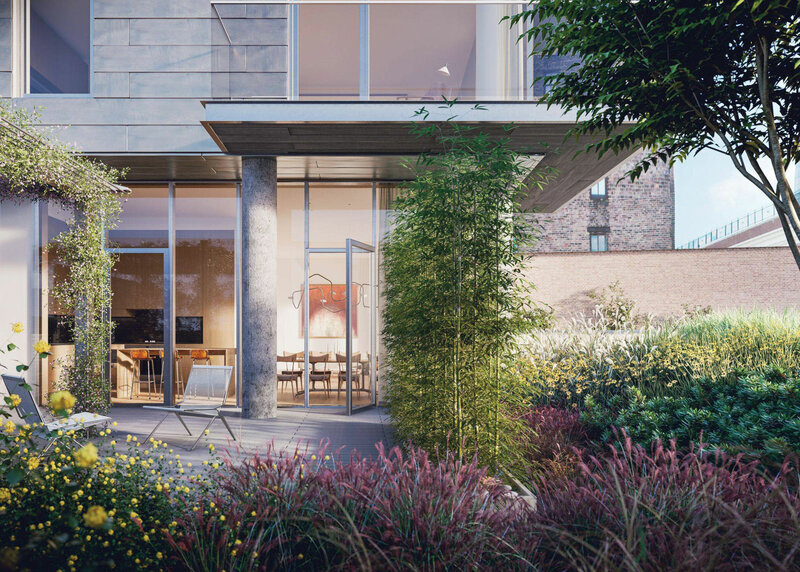 Each garden reflects a naturalistic feel that transcends the urban context of the Bowery and tempers the sleek, contemporary look of the building. As a nod to the peregrine falcons which have started to make their home in the city, the gardens are designed to have an intimate, nest-like feel. 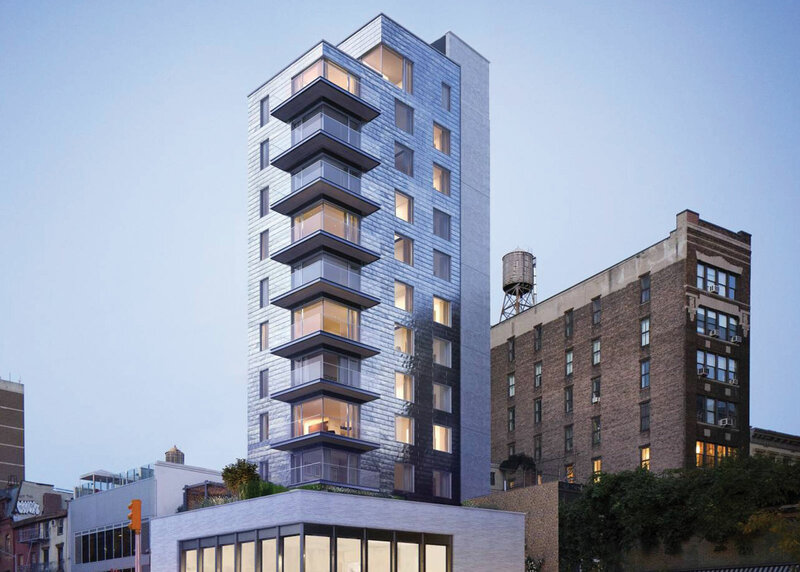 The 13-story development offers dramatic views across Lower Manhattan, yet provides a sense of privacy and seclusion in the heart of the Bowery.